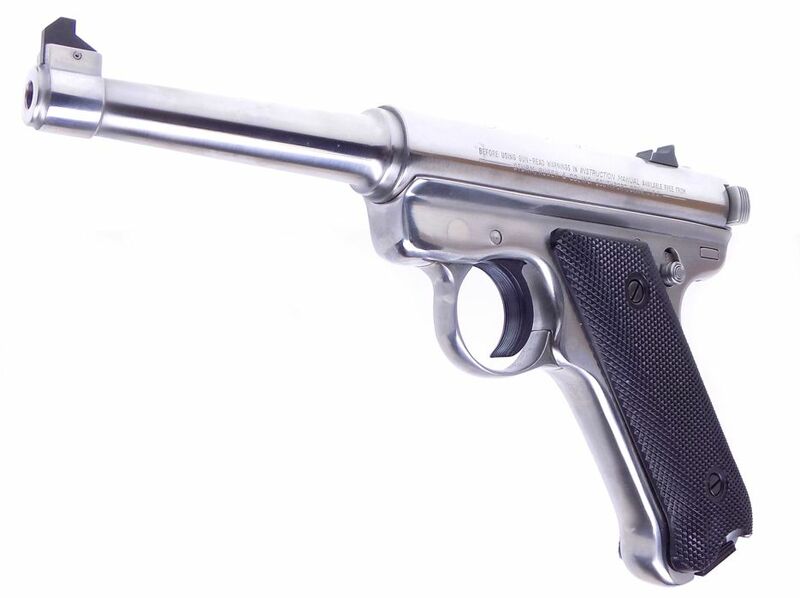 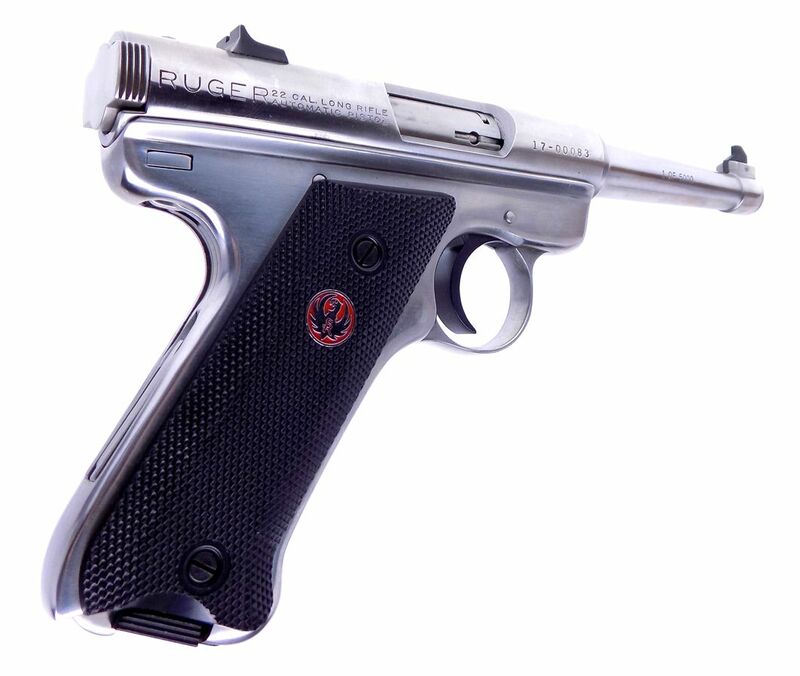 This auction is for an opportunity to own a very low serial numbered Ruger MK I "Bill Ruger" Limited Edition 1 of 5000 22 pistol. 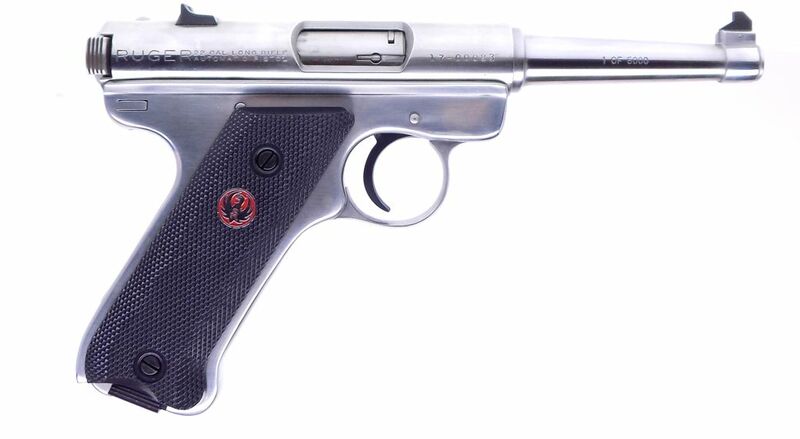 This was a special commemorative run at the end of the classic Mark 1 semi automatic pistol series. 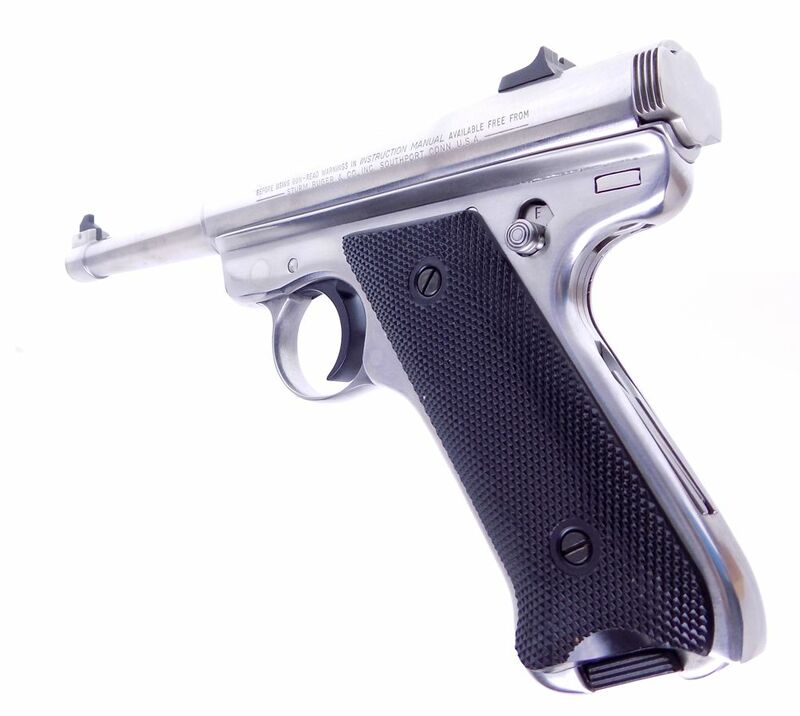 The gun wears a polished stainless steel finish with a 4 3/4" tapered barrel, fixed sights with the "Red Eagle" on the right grip. 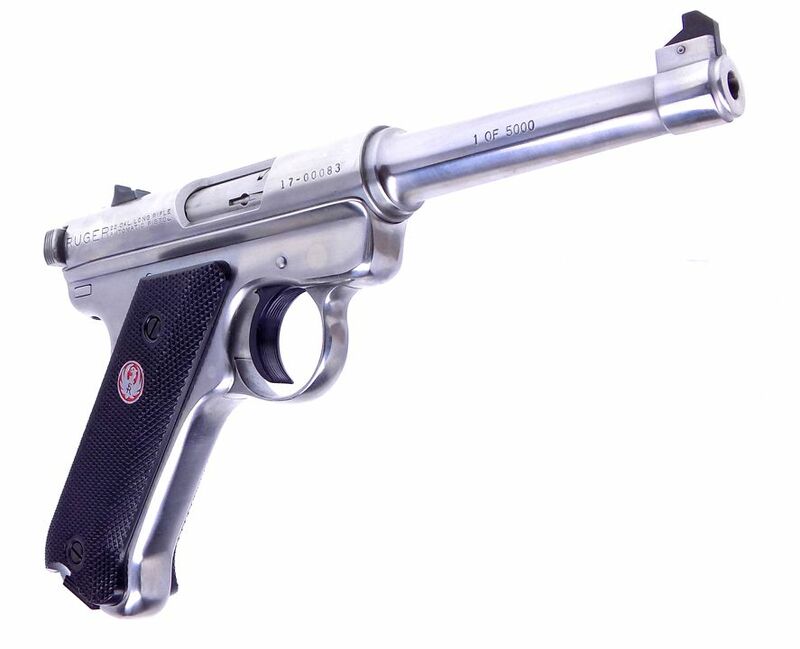 Bill Ruger's signature is roll marked on top of the receiver, and 1 of 5000 is roll marked on the right side of the barrel. 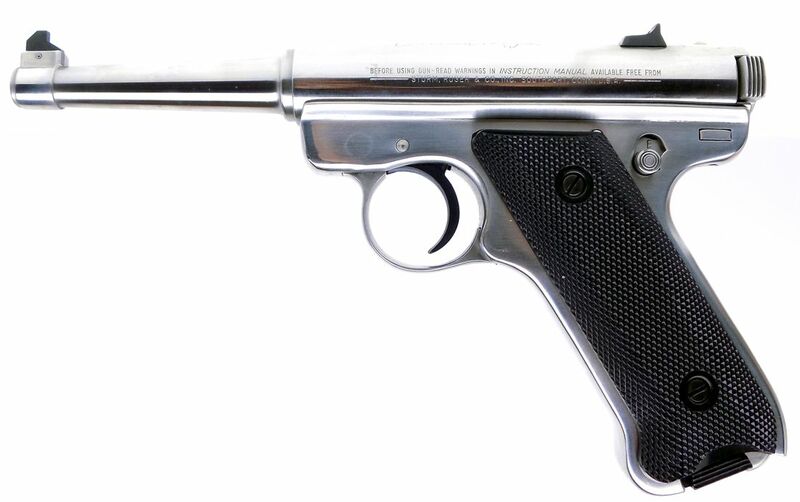 The pistol is new with the correct stainless magazine. 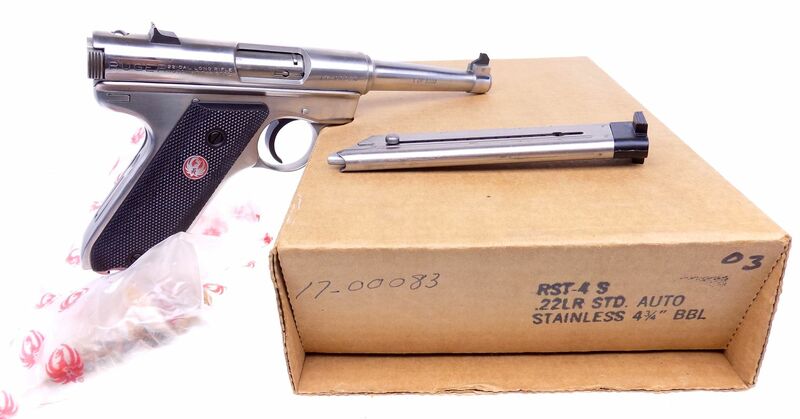 The outer shipping box was found with the packaging but not the wooden box or paperwork. 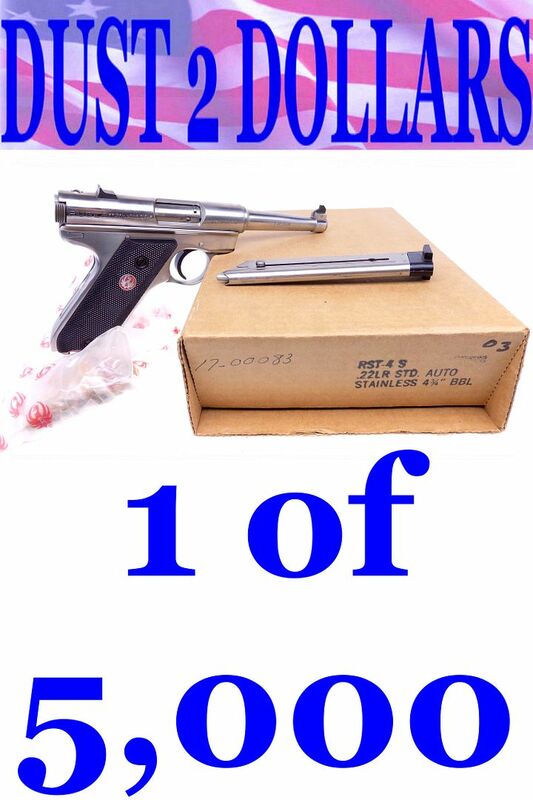 It will ship in a Ruger plastic box for protection. 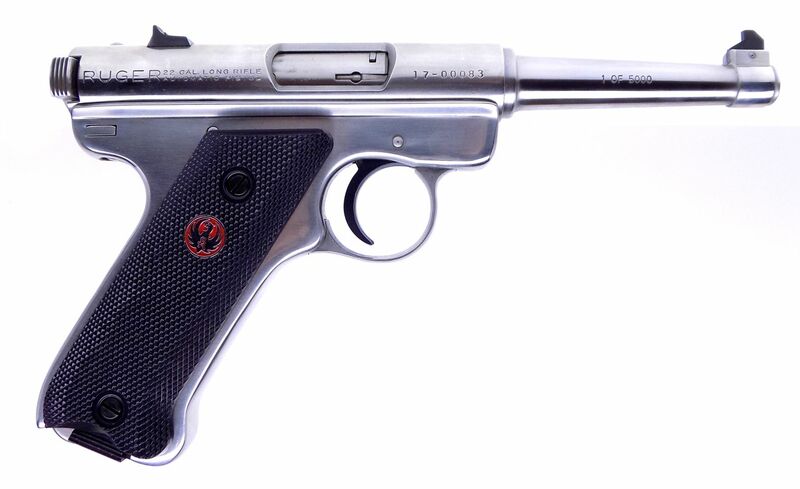 The outer box is serial numbered to the gun with this being a very low number wearing serial number 17-00083.